The symbIoTe and the BIG IoT projects, organized the successful workshop “2nd International Workshop on Interoperability & Open Source Solutions for the Internet of Things” (InterOSS-IoT) in Stuttgart, Germany on 7th of November, 2016. 13 excellent papers were selected and presented on the day, with topics covering a wide range of aspects related to the IoT interoperability, such as semantics, security, business models and applications . The event attracted around 40 participants who contributed constructively on all discussions. A big highlight of the event was the talk of the keynote speaker Ralph Müller, who did not miss to inspire the audience giving great insights on the role of open source in the IoT domain. The workshop was opened by symbIoTe’s Technical Coordinator, Prof. Ivana Podnar Zarko, while the Project Coordinator, Dr. Sergios Soursos, presented briefly the project. symbIoTe consortium members were also had the opportunity to present critical topics related to the project and the genral IoT ecosystem. 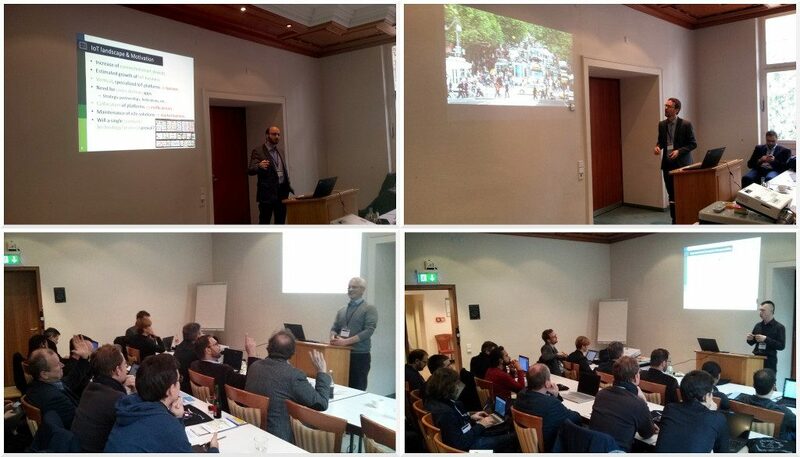 Michael Jacoby from Fraunhofer IOSB, presented the project’s approach on semantic interoperability and Savio Sciancalepore, from CNIT – Politecnico di Bari, talked about the attribute-based access control scheme adopted. We would like to thank all the speakers of the workshop and the organizers of the 6th International Conference on the Internet of Things (IoT 2016) for providing an excellent environment to host the workshop. The proceedings of the workshop will be available in the beginning of 2017 by Springer series Lecture Notes in Computer Science (LNCS). We hope to see you all at the next edition of our workshop. Stay updated and don´t forget to keep an eye for the proceedings!